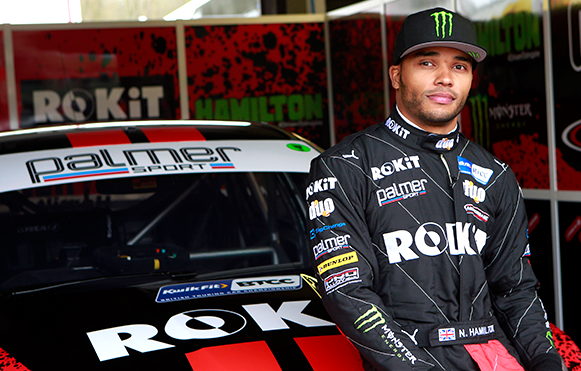 Gain priceless driving tips from a current top-flight racer with our exclusive Extended Driving Event with BTCC star Nic Hamilton at Bedford Autodrome on Wednesday 10 July. PalmerSport is sponsoring Nic's first full season in the British Touring Car Championship and this is a rare opportunity to pick his brains as you drive our high performance sports and racing cars on four purpose-built circuits. Nic, a former instructor at PalmerSport, is the brother of five-time F1 World Champion Lewis, and he will race a specially-modified car in the BTCC due to his Cerebral Palsy. During the day, every guest will sit alongside Nic for a SuperRide in the stunning JP-LM Sports Prototype and there will be an opportunity to ask questions during a lunchtime Q&A session. Limited places are available for £995.00 plus VAT per guest or £9,450 plus VAT for a table of 10. Full Vehicle Damage Waiver is included for guests with a full driving licence aged 21 and over (terms apply). Registration opens at 8am, with driving sessions commencing at 9am, and the event will finish at approximately 4pm. PalmerSport's superb catering is included, with breakfast pastries, a two-course lunch and afternoon tea. Booking is now open for this one-off event - limited to just 50 places! For further information or to book please contact the PalmerSport sales team on 01403 733999 or email sales@palmersport.com.